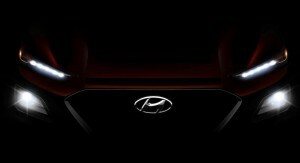 We all love a good teasers, and Hyundai have obliged, giving us a little glimpse of their upcoming B-segment crossover named the “Kona,” which will sit below the Tucson and Santa Fe in the carmaker’s SUV line-up. The so called “Accent SUV” is not set to hit the US market until later this year, but the first official Hyundai Kona teaser image, which gives us a glimpse of the Hawaii-inspired name and the slim headlight set-up, is enough to get us genuinely excited. The upcoming 2018 Hyundai Kona was inspired by the Intrado concept, and from what we can see, that means a very different style than the other crossovers offered by the automaker. The Koreans are labeling this design as a progressive style, which means that it may have a look very similar to a recent render that was created to show off what the vehicle might look like. Upcoming Hyundai Kona to offer AWD? 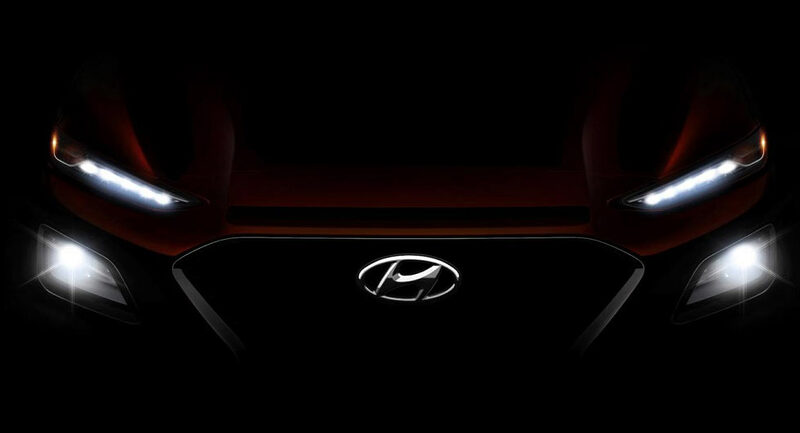 There are no official technical specs to speak of yet, but we do know that the Kona SUV (model year) will be built on a modified platform used by the i20, and will have the same engines used in the newly launched Elantra GT. What’s not clear at this point is whether there will be an AWD variant made available, but our guess would be that Hyundai will go with the FWD set-up only, as used on the majority of subcompact crossovers on sale today. UPDATE: Hyundai confirms the Kona AWD launch! It will come standard with FWD, while all-wheel-drive will be optional! 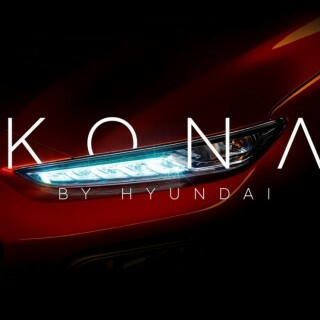 There is no word from Hyundai on an unveiling date for the Kona, but they did say that more news will be coming in the near future. 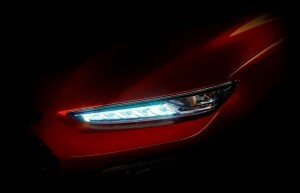 That may mean that it might show up at the New York Auto Show this month. It’s also going to be interesting to see what Kia does with their version of this model, which we believe will be called the Stonic. If the recent spy shots of that model are anything to go by, the new Hyundai Kona and Kia Stonic small SUVs will have very different looks.